This following is a copy of my facebook post. Heal in Heels shared Keith Kuder‘s post. I am a mother, too. Now I go through breast cancer treatments. Pregnancy made me happy, but I was worried many things as my body changed over time. At the early stage of my pregnancy, I thought I caught a cold and I took cold medicine without knowing that I was pregnant. That simple cold medicine that I took once made me so worried for the baby through out my pregnancy. Carrying a pregnancy and pushing a baby out was not always easy, either. Now, undergoing a mastectomy, taking chemotherapy, what it does to my body, let alone, made me scared. Those are only the physical challenges, but it has been very difficult for me mentally, too. I cannot imagine those extremely difficult choices the mom had to make for herself and the baby. She would be the one who thought of the baby’s health the most. 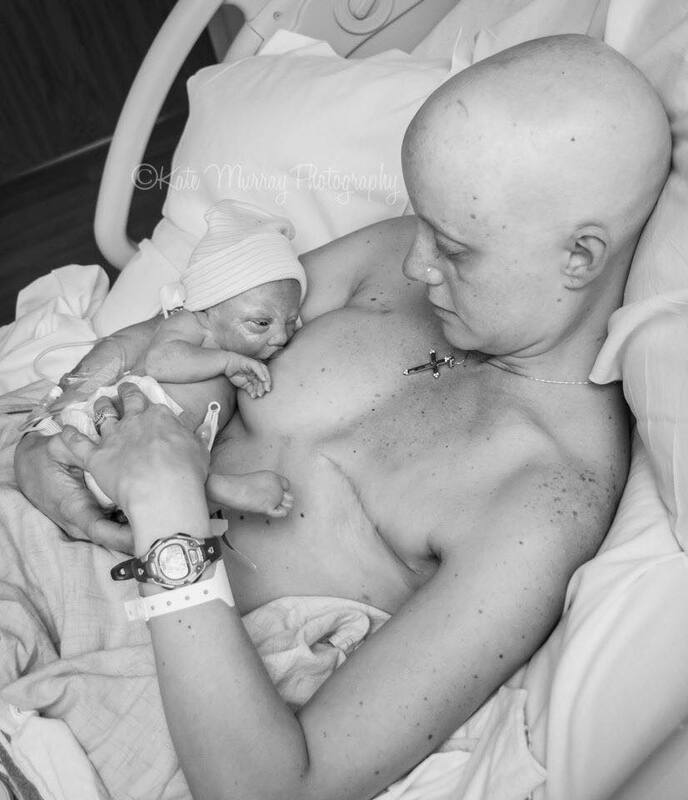 But she had to do the chemo so that she can be there for the baby as he grows up. I am guessing through my experiences, her heart broken choices or not, she got to do what she had to do at her best whether she was strong or not. I thank them for deciding to document this moment and sharing it with the world.